The Heron’s Nest is Now P3Dv4 Ready! The first of our dedicated Prepar3D v.4 projects has just been released. 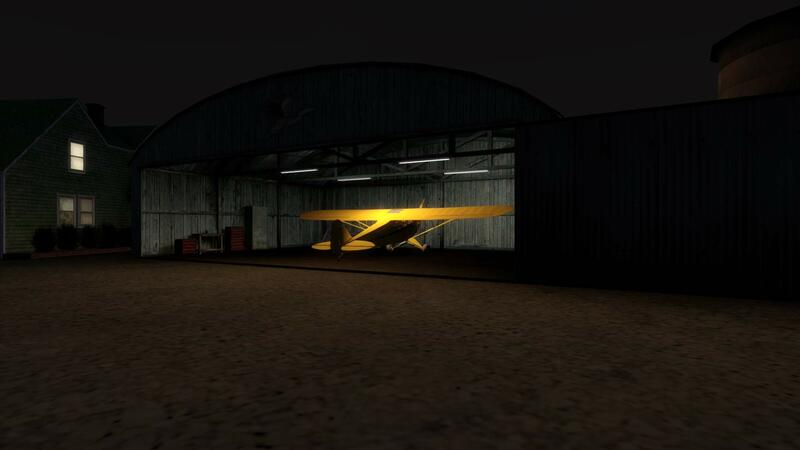 The Heron’s Nest has been updated with that lovely P3Dv4 dynamic night lighting in both hangars, and a new installer has been created specifically for the newest sim. Current owners can download the P3D4 installer by logging into their “My Account” page on https://iblueyonder.com and selecting their Heron’s Nest order link. The installer has been added as an option alongside the existing iBY_Herons_Nest_v2 version. Those who haven’t tried it yet can get their free copy by visiting https://iblueyonder.com/portfolio/the-herons-nest/.